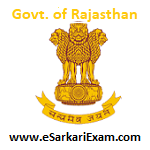 Eligible Candidates can Download AE, Jr. Chemist Document Verification Admit Card at the Official Website of Deptt of Energy Rajasthan. Applicants First Logon to RVUNL Rajasthan Official Website. Select AE/ Jr. Chemist Post and Call Letter for Document Verification Link. Fill Login Details and Click Login Button to Download Admit Card.